I bought some frozen oysters that were on sale during my last Christmas trip to the Korean grocery store. Yesterday, I looked up Lily’s Oyster Omelette recipe and decided to give that a try. Instead of rice flour, I used sweet rice flour, leftover from my kimchi making days. 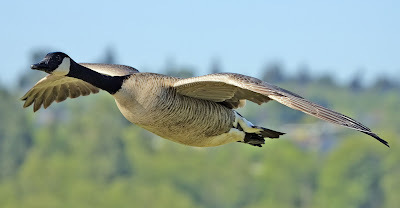 Lately I’ve been noticing many Canadian geese flying around and hanging out at the harvested corn field behind my place. Twice while I was out walking (and probably scaring the geese), I watched the geese (over 200 of them) just take off from the field simultaneously, in sync. That was an awesome sight and sound. And both times, I wished I had my video camera with me. Today when I went out for my walk, I brought along my tiny flip video hoping that this will be the day that I catch the most awesome video ever. When I came out of the apartment, the sky was full of flying geese, as shown in this video. And the field was filled with them too. I kept watching flocks of geese check out the place and landed in the middle of the field. In the video below, you can’t really see the geese in the field but there were lots of them walking here and there. All that time while I stood waiting, I kept thinking, “Where are the crazy dogs, when you need one?” None of the dogs that were walking with their owners ran out into the field to chase the geese. So the geese just walked around the field, making lots of noise. Finally, the sun set and it got rather cold. And I was tempted to pick something up and throw it at the geese, just so that I could capture a “Canadian geese: Awesome mass take-off” video. No, I didn’t throw anything and the geese just hung around in the middle of the field. Goose #1 to Goose #2: You still there? Goose #2 to Goose #1: Yes. Then Goose #2 to Goose #3: You still there? Apparently their loud honking sounds, when they fly by, also indicate the arrival of Spring.